It has been five years since Hank Becker, John Oaks, and Todd Wilson, better known as "The Rubber Knife Gang," have released their last album "Drivin' On." Now, in 2015, the group is about to complete their third album "Broken Lines." Not officially issued yet, I was able to check it out last week as one of the first apart from the band itself. "Broken Lines" has essentially everything that made "Drivin' On" so fascinating: catchy and beautiful melodies, clever lyrics and, last but not least, the unique harmony singing. There are songs to sing along with, songs to dance to, songs to dream to. And although the Rubber Knife Gang stays true to its sound, the three musicians nevertheless have added a couple of new elements to their music. This time for example, there are several calm songs, more striking chord patterns and riffs. In contrast to "Drivin' On," the tracks on "Broken Lines" have a deeper, melancholic feeling to it. Though, the band is able to catch the "feel good" mood on their songs, for example on "Draw the Line." One of the album's hightlights is "House of Fire," on which banjo and guitar seem to rise in higher spheres. The listener feels like being transfered into another age. Possibly into the times of the ancient Egypt? Or perhaps to the hills of Tennessee? I don't know for sure, which doesn't matter at all. The easy and cushy sound of the band is also well presented with "Siren Serenade." On a couple of tracks, for exaple "Damn You December," also percussion is used, which adds much to the sound. On "Gone Away, " the group sounds a little bit like the bluegrass version of JD Wilkes' Dirt Daubers and suprised me with long and virtous instrumental passages. 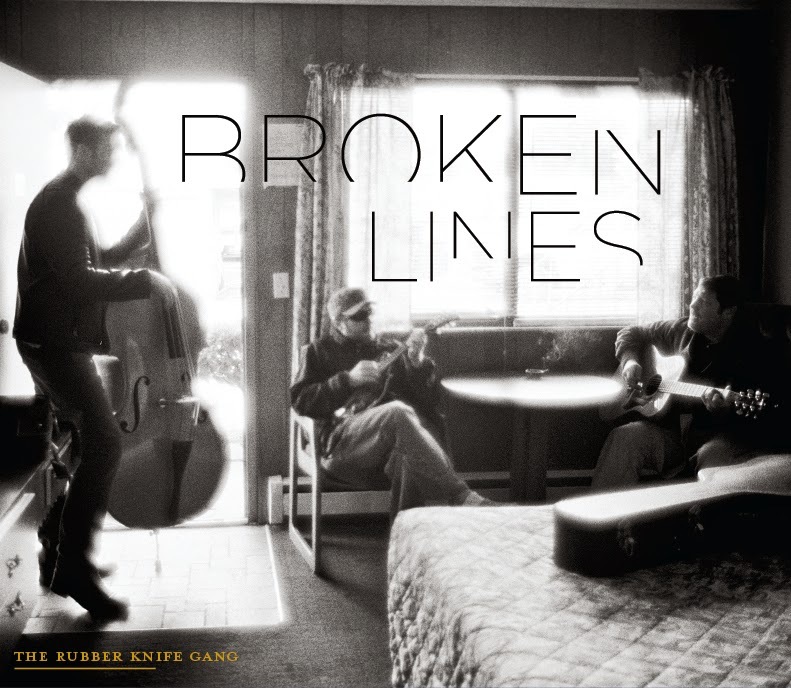 My conclusion: "Broken Lines" is a worthy follower to "Drivin' On" and an advancement of the Gang's music to be sure. My conclusion is as precise and clear as the band's music: I'll recommend this album to every Americana fan out there!